For the eighteenth time the Qult winners of Cosmetics Magazine were selected. 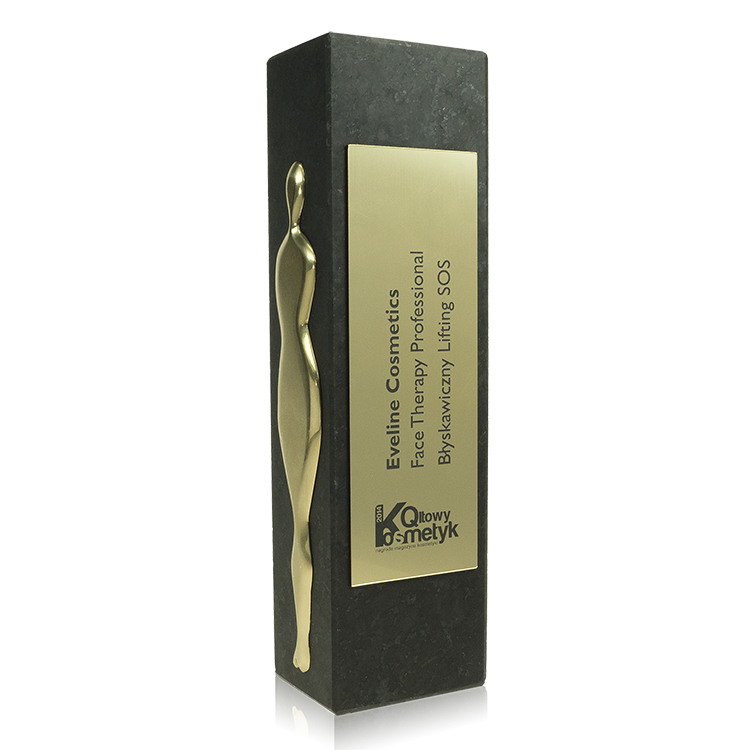 Eveline Cosmetics Brand received a Cosmetic Qult statue in the category of face care, Polish SOS cosmetics. Rich and highly concentrated Immediate SOS Lifting for „crow’s feet” formula thanks to combination of advanced active ingredients with modern SOS Lift & Hyaluron™ technology, visibly reduces “crow’s feet” and wrinkles around the eyes. It provides intensive and long-lasting lifting effect (skin’s tightness), deeply moisturises and smoothes skin. The Qult Cosmetic is a contest organized by editorial office of Cosmetics Magazine. The jury consists of specialists from cosmetics market – journalists, dermatologists, cosmetologists, market analysts and sales representatives. Every year several hundred of cosmetics divided into several categories take part in it. The award is highly recognizable on the market and is trusted by partners and the readers (producers, distributors, shop owners, wholesaler’s, chemists and beauty salons, drugstore workers and customers).